(Nanowerk News) Nanonics announced the recent release of the Multiprobe Cryoview system, a low temperature multiprobe scanning probe microscope that is our latest innovation in the line of integrated scanning probe microscopy products. This instrument is the ideal platform for studying dynamics, photoconductivity, and electrical conductivity of a variety of materials including 2D materials such as graphene. The multiprobe technology includes near-field, Raman, and fluorescence imaging with easy viewing from above and below. 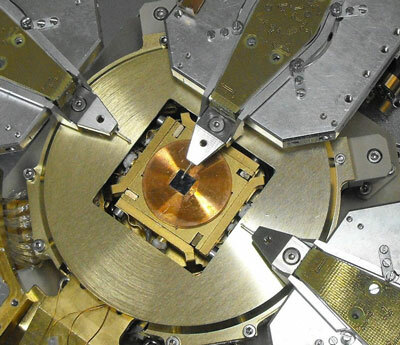 This unique instrument enables pump-probe experiments for exploring optical, thermal, and electrical properties of materials such as graphene MoS2 and other 2D materials. The Multiprobe Cryoview system combines our multiple probe scanning probe technology with low temperature operation down to 10 Kelvin, where cooling is very fast without requiring an immersion cryostat.